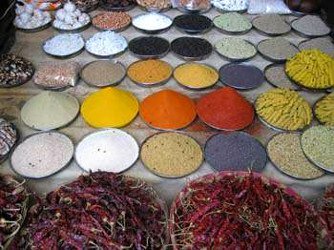 This list of spices lists the Indian spices that are commonly used in Indian cooking. These spices come from different parts of plants. Flowers, seeds, leaves, stems, fruits etc. seeds such as coriander etc. Ajwain, known as ova, owa, ovam, om kaalu etc. in Indian languages. Ajwain is good for digestion. 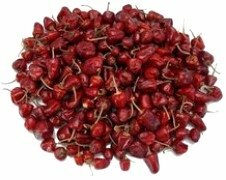 It ia used in breads, in the covering of samosa and kachori. It is hot in taste. Just take a pinch in your mouth after a meal. You may mix it with fennel seeds (somph) and use it as a digestive or mouth freshener. Asafoetida - Asafetida - In Indian languages known as Hing, Hingu, ingu, perungayam. 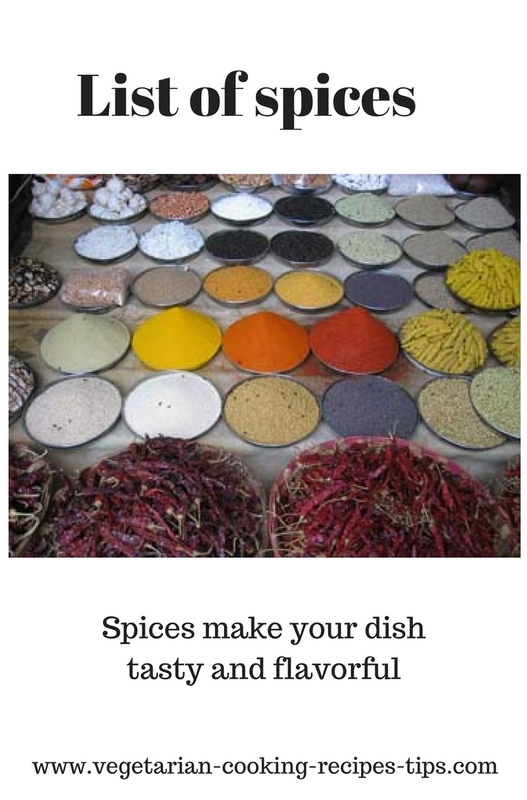 Read more about Asafoetida - Asafetida. 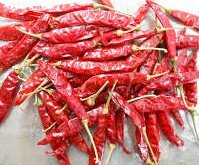 Dry guntur red chili is hot in taste but does not give dark red color to the dish. 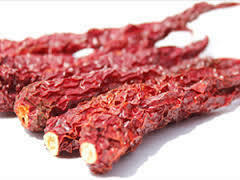 Dry byadgi chili has wrinkled skin . It is not very hot in taste but gives good red color to the dish.